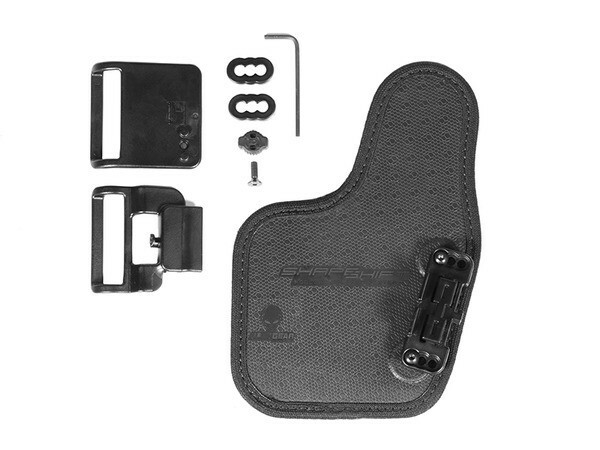 The ShapeShift OWB Slide Carry Expansion Pack is a must-have to build your ultimate ShapeShift Modular Holster System. The ShapeShift OWB Slide Holster is the perfect crossover between an open and concealed holster, as it is comfortable, secured, and easy to conceal. 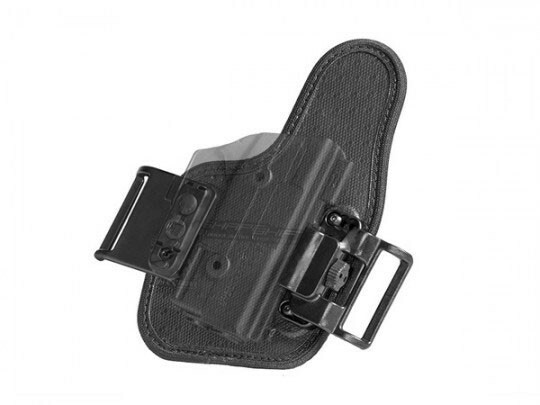 The ShapeShift OWB Slide holster is made of high quality-materials to maintain your security day-in and day-out. The belt slide of the holster is designed with premium engineered polymer that will never break, making sure you never have to adjust your draw or fumble for your gun. Alien Gear Holsters also built in a reliable, consistent retention system into the OWB Slide Holster, allowing your firearm to smoothly slide into the separately sold Shift Shell. This passive retention can be tightened to the carriers’ preference. A CoolVent™ Neoprene base counteracts the rigidity of your firearm against your waist, and maintains essential comfort for daily carry. You will never be in a hurry to take off the ShapeShift OWB Slide holster; enjoy peace-of-mind by always being comfortable and prepared! We back this American-made expansion pack with a Forever Warranty. Learn more about a 30-Day Test Drive and watch a video on the ShapeShift OWB Slide Holster video at AlienGearHolsters.com.